Product prices and availability are accurate as of 2019-04-24 18:30:08 BST and are subject to change. Any price and availability information displayed on http://www.amazon.com/ at the time of purchase will apply to the purchase of this product. 2557090092 Features: -Darling New collection. 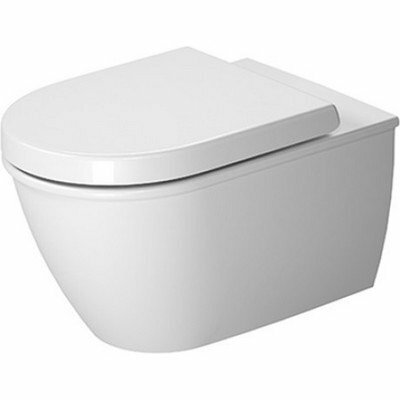 -Toilet wall mounted Rimless® rimless. -cUPC listed. Product Type: -One-Piece toilets. Finish: -White Alpin. Dimensions: Overall Height - Top to Bottom: -15.75". Overall Width - Side to Side: -14.375". Overall Depth - Front to Back: -21.25". Overall Product Weight: -51.2 lbs.